Dec. 4 to Dec. 10 is “National Influenza Vaccination Week” and the Centers for Disease Control and Prevention (CDC) is pushing hard for children and adults to get immunized against the flu. Colorful advertisements warn us to get our flu shots from the walls of our doctor’s offices, pharmacies and grocery stores. According to the CDC, getting the flu shot is a matter of life and death. Flu shots, we are told, save lives. At the same time, government officials have been lamenting that influenza vaccination rates are concerningly low in the U.S. and seem to be falling. Fewer than 50 percent of Americans currently heed the government’s call to get their annual flu shot. Part of the reluctance seems to stem from questions about efficacy, raised by data coming directly from the CDC. Why get a flu shot if the flu shot does not work? While this disappointing news may have come as a surprise to parents who had been told by their doctors that the nasal spray vaccines were safe and effective, it was not a surprise to health safety advocates and environmentalists who have raised scientifically based efficacy concerns for nearly as long as the government has been promoting flu vaccines. William Redwood, MD, an emergency room doctor based in Atlanta, Georgia, who has been practicing medicine for 26 years, does not think it is in the best interests of public health for the CDC to push the influenza vaccine, given the preponderance of government data that calls its efficacy into question. Not only are there serious questions about the efficacy of the flu vaccine, there is evidence to suggest that getting the vaccine every year may cause damage to the immune system. In a peer-reviewed study published in Clinical Infectious Diseases in March 2016, a team of Canadian researchers found that people who were vaccinated against the flu three years in a row were actually at higher risk of being infected with the flu. Also troubling is the number of adverse reactions reported to the CDC after flu vaccination. The Vaccine Adverse Events Reporting System, known as VAERS, allows doctors and individual patients to report poor health outcomes following vaccination. CDC uses VAERS to track, analyze and make vaccine safety information available to the public. Though it is estimated that the majority of adverse reactions—even serious ones—are not reported to VAERS, scientists consider it a useful tool for detecting signals about possible adverse reactions to certain vaccines. About 13 percent of the some 30,000 post-vaccine events reported to VAERS are considered serious, associated with disability, hospitalization, life threatening illness or death, according to the U.S. Department of Health and Human Services. Data culled from VAERS by Stephanie Seneff, PhD, a senior research scientist at MIT, reveals a mortality rate following the flu vaccine that public health officials might find surprising: 560 deaths attributed to flu shots between 1990 and 2016. But VAERS data grossly underestimates the actual number of adverse outcomes, as with any passive reporting system: “… VAERS receives reports for only a small fraction of actual adverse events. The degree of underreporting varies widely,” according to the government website. A 2013 article in Neurology Clinical Practice calculated that only between 1 and 10 percent of adverse reactions are actually reported by physicians. Applying that calculus, the actual range of deaths following flu vaccination in the past 25 years may be between 5,600 and 56,000. The VAERS data also reveals a large number of reports of other injuries from seasonal flu shots. These include Guillain-Barré, a debilitating illness in which the immune system attacks the peripheral nervous system, as well as post-vaccination shoulder related injury, SIRVA, which can cause paralysis and chronic pain, and may necessitate surgery. How many people actually die from the flu? The CDC claims that in a bad flu season as many as 36,000 people will die from the flu and some 200,000 will be hospitalized. Those scary numbers motivate people to get the flu vaccine. But are they accurate? Apparently not, according to the CDC, which admits that it has no method to accurately estimate annual flu deaths. States are not required to report deaths from influenza in people older than eighteen. In order to inflate the number of flu complications and deaths, the CDC includes influenza-like illnesses, pneumonia, and even heart problems, brain swelling, and sepsis. By lumping deaths from pneumonia (a bacterial infection) together with deaths from influenza (a viral infection), the threat from the flu—an uncomfortable but short-lived illness among otherwise healthy children and adults—can be exaggerated enough to justify calls for universal vaccination. As it turns out, only one-third of people with “influenza-like illnesses” actually test positive for an influenza virus against which vaccines are designed to protect. This means that any estimate of flu deaths is inflated by at least two-thirds. If the CDC tabulated deaths from the flu based on death certificates, there would be very few, even among older adults. One of the greatest concerns with influenza vaccines is that they contain thimerosal, a mercury-based preservative. According to the CDC, 48 million of the 168 million flu vaccines available this year contain mega-doses of thimerosal. In 2003, the U.S. Food and Drug Administration acting director for the Office of Vaccines Research and Review, William Egan, PhD, admitted in testimony before a Congressional committee, that thimerosal, which was grandfathered into the vaccine program in 1932, has never been safety tested. As Paul Thomas, MD, a Dartmouth-trained medical doctor with more than 13,000 children in his practice in Portland, Oregon, points out, thimerosal has not been proven safe for administration to pregnant women, whose fetuses are particularly vulnerable to toxic exposures. The material safety data sheet (MSDS) for thimerosal warns that it is mutagenic in mammals, and may cause adverse reproductive effects and birth defects in humans. Media reports that flu vaccines contain only a “trace” or “negligible” amounts of mercury are incorrect. Federal regulations define trace amounts to mean less than 1 microgram. Typical flu shots contain 25mcg of mercury (25 times the trace amount). 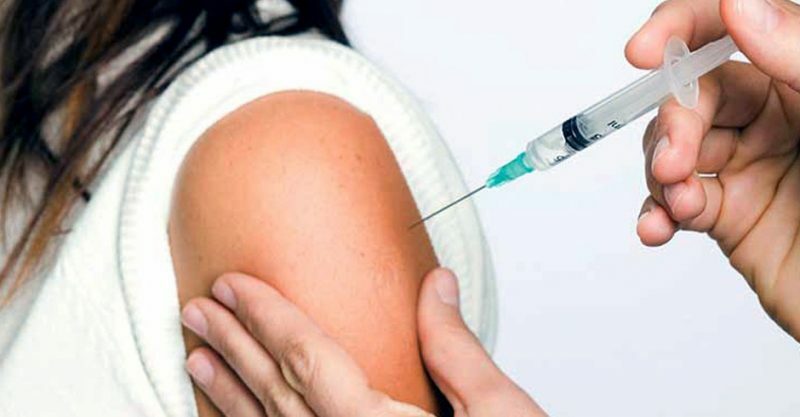 Mark Hyman, MD, an international recognized practicing family physician at the Cleveland Clinic and an 11 times New York Times bestselling author, calls the presence of mercury in the flu vaccine a “dirty little secret,” pointing out that mercury is a known neurotoxin that causes immune and neurological problems, including dementia and memory loss. CDC senior scientist Dr. William Thompson, a 17 year veteran vaccine safety researcher, urges that pregnant women should avoid thimerosal laced flu shots. According to Thompson, CDC’s own research proves that thimerosal causes tics, a grave neurological disorder that commonly occurs in children with autism. In fact, four studies have confirmed the association between exposure to thimerosal and the development of tics. These include Verstraten et al.2003, Andrews, 2004, Thompson et al, 2007 and Barile et al, 2012.